PACIFIC AEROSPACE & ELECTRONICS is an integrated manufacturing company, specializing in technically demanding ceramic and metal components and assemblies, hermetic connectors and advanced micro-electronic hermetic packaging for global leaders in the defense, space, medical and commercial industries. State of the art, computer controlled, true non-contact Lasag Laser Welding technology. PA&E uses specialized manufacturing techniques, advanced materials science, process engineering, and proprietary technologies and processes to its competitive advantage. PA&E machining business unit produces machined and fabricated components and assemblies for customers around the world. This operational unit manufactures precision machined parts and mechanical subassemblies. Capabilities include the manufacture of products from the most demanding materials such as titanium, stainless steel, aluminum, brass, carbon steel, and a variety of exotic metals. 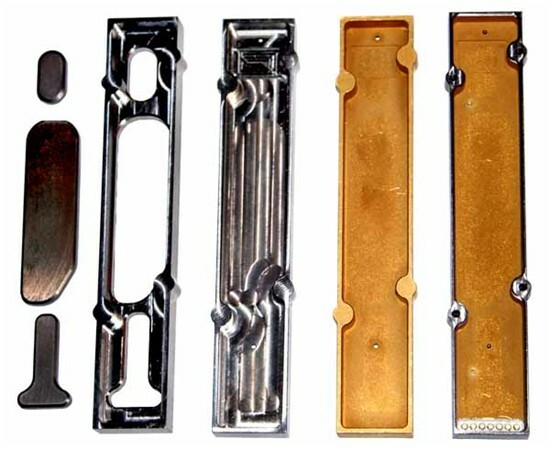 As a key industry supplier of close-tolerance aerospace hardware, PA&E manufactures aircraft parts, ranging from five-inch-long stringer clips to complex window frames and other structural components. It produces a wide variety of parts for various aircraft manufacturers and suppliers, and it works closely with other aerospace market leaders, including Lockheed Martin, Raytheon, and Northrop Grumman to design and manufacture to their specific requirements. PA&E is a trusted solution provider for space applications in which weight, thermal management, and hermetic sealing are ongoing technical challenges. 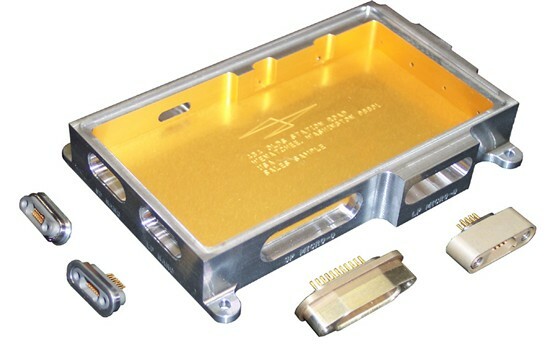 Our hermetic connectors, EMI filters, and turnkey micro-electronic packages are at work deep in space – on communication satellites, in the Space Shuttle, and on the International Space Station. From military satellites and self-guided missiles with infrared seeker systems to the most advanced electronics for state-of-the-art combat aircraft and sophisticated laser-guided systems, the U.S. government counts on PA&E to provide interconnect systems and hermetic sealing solutions that perform flawlessly in the most extreme environments. 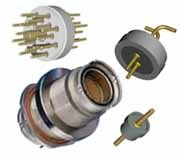 Hermetic Seals — Kryoflex,® PA&E’s proprietary polycrystalline ceramic sealing technology, is used to produce extremely rugged and reliable hermetically-sealed feedthrus, connectors, and integrated electronic packages. 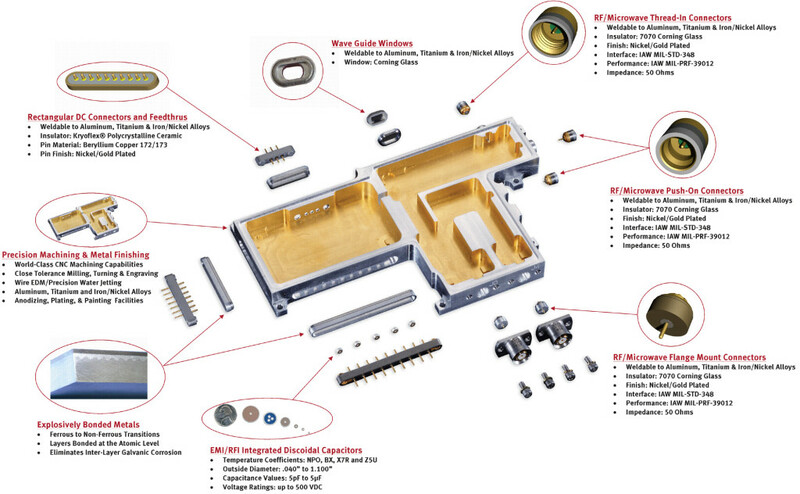 Over the past decade, PA&E has been providing customers with the most advanced hermetic connector and packaging technologies available. With the introduction of its new titanium composite packaging, this trend continues. The new technology uses titanium as the primary housing material and integrates composite heat-sinks composed of molybdenum/copper (Mo/Cu) or aluminum/silicon carbide (AlSiC) into strategic locations of the structure for excellent heat dissipation capabilities. The combination of titanium and Mo/Cu or AlSiC is ideal for achieving lightweight, low-coefficient of thermal expansion (CTE), and high-thermal-conductivity electronic packages. 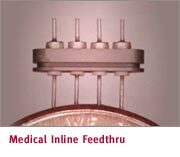 Electrical feedthru pins can be hermetically sealed directly into the titanium using PA&E’s Kryoflex® ceramic. Alternately, hermetic connectors made from explosively bonded dissimilar metals can be laser welded into position. Maximizing Thermal Conductivity — We use high-efficiency thermal transfer technology in our integrated packaging. 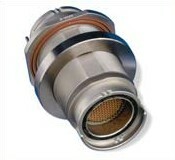 One example of this is our titanium composite housings. 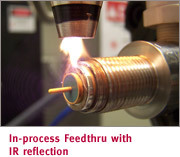 Precision Laser Welding — We laser weld our feedthrus and connectors into integrated packages for higher integrity, reliability, and rework-ability than conventional soldered electronic packaging. PA&E has extensive experience and capabilities in a wide range of commercial applications, including energy, aviation, and telecommunications. 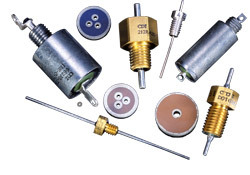 We produce extremely rugged and reliable hermetic connectors, housings, and turnkey micro-electronic packages for global commercial markets. PA&E’s advanced ceramic filtering devices eliminate electromagnetic interference(EMI)for circuits contained in the electronic packaging of telecommunication applications. PA&E’s EMI filtering solutions set new technical standards. For example, PA&E builds the smallest multi-layer discoidal capacitor in the world, measuring just 1/20th of an inch in diameter. 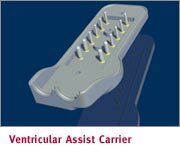 PA&E works with leading medical implant designers to advance integration and performance in one of the most unique and critical environments known: the human body. PA&E has created proprietary materials and encapsulations with hermetic seals that enable implantable medical devices to bypass the human body’s natural defenses and perform with greater reliability. 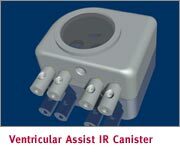 PA&E’s unique precision machining techniques for materials and components are used to create medical components such as: cochlear implants, pacemakers, and other cardiac-function implants.